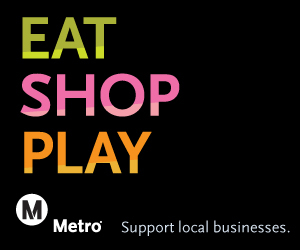 There are many ways to inform your audience about the Eat Shop Play campaign. One way is adding a static graphic to your webpage. 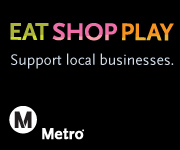 This static graphic links back to metro.net/eatshopplay, devoted to offers and discounts from local businesses. 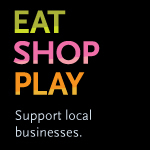 The webpage also encourages consumers to pledge to eat, shop and play local for a chance to win cool prizes! Your webmaster can easily add the code or the static graphic onto your website (the code is below) and make it easy for your website viewers to find the latest updates.